You know what else The Legend of Zelda: Breath of the Wild gets right that so many other open-world games miss? The tutorial. Something peculiar I noticed with three games during the E3 2017 presentations has to do with user generated content, how some specific games are handling it, and why they’re doing it. Is Witcher 3 The Next Game Everybody Wants To Imitate? 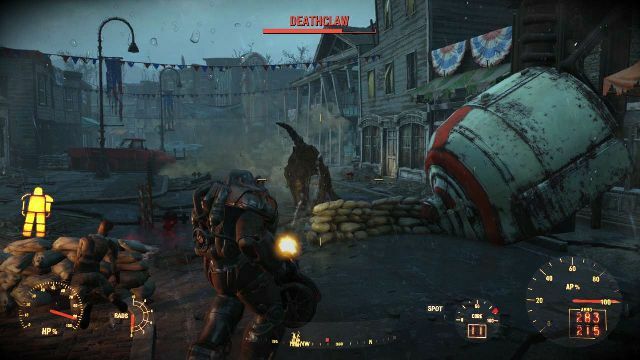 The chatter around Fallout 4’s release has reached the same point of controversy as the last couple of Bethesda’s games (as well as Obsidian’s New Vegas which ran on Bethesda’s tech) — their generally buggy and unstable nature. Understandably, some people are baffled as to how Skyrim and Fallout 4 can be so popular while being so buggy, especially while other high-profile games get chewed out for their stability problems. Fallout 4’s Early-Game Pacing Is A Huge shift From What Should Be Bethesda’s Forte. A few hours into Fallout 4 I have one general issue with it that none of the reviews I read touched on. It’s a bit of what I said I was afraid would happen in a previous post. The opening hours of Fallout 4 in my opinion run completely counter to what Bethesda does best and what is most unique to that developer… even if the result isn’t necessarily a bad game. Ever since that bit of news about the physical PC editions of Fallout 4 came out I was worried as to what would actually come in the box. According to multiple people who have that box now, it’s even worse than I imagined, a pretty surprising move by Bethesda Game Studios, and a sloppy attempt at blocking piracy that once again only hurts the legitimate customer.